The Pokerstars.net APPT Macau Summer Festival was comprised of 38 events this year with over $3.5 million in prize money to be won throughout them all. The event was a huge success and there were almost 3000 poker players from all parts of the world take part in at least one of the APPT Macau events. PokerStars helped ensure that there would be a lot of players this year by offering players online the chance to qualify for the events. The biggest event by far this year was the APPT Macau Main Event which featured 429 players and a prize pool of more then $2 million. Over half of the entire prize pool at this year’s APPT Macau Festival was for this one single event alone. There were a lot of big name poker players that participated in the event, but the final table was full of relatively unknown players. Dermot Blain ended up winning the Main Event and for his efforts he took home the first place prize of $538,700. Dermot is a young 25 year old poker player that recently decided to try and go pro so this title should definitely help him along the road to fame. Below is a list of the players that made the final table of the Main Event. 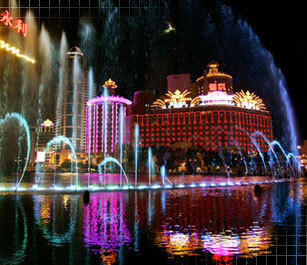 The other highlight event at the PokerStars.net APPT Macau Festival was the High Rollers Event. The playing field and prize pool was considerably smaller in this event then the main event, but the quality of the players was superb. Some excellent poker players made it out for this event and several big name players made it all the way to final table. The winner of the event was Vladimir Geshkenbein as he defeated Johnny Chan heads-up for the title. The following players made up the final table in the High Rollers Event. This entry was posted on Tuesday, September 8th, 2009 at 8:20 am and is filed under Poker News. You can follow any responses to this entry through the RSS 2.0 feed. You can leave a response, or trackback from your own site.